The introduction of the NEO lighting control console marks a new chapter in the evolution of control. This console allows the ability to seize light; to grab, move, change position, color and motivate the lighting design simply and effectively. The new LF25 edition is a 128 DMX channel license that includes a USB to DMX interface for only $149. 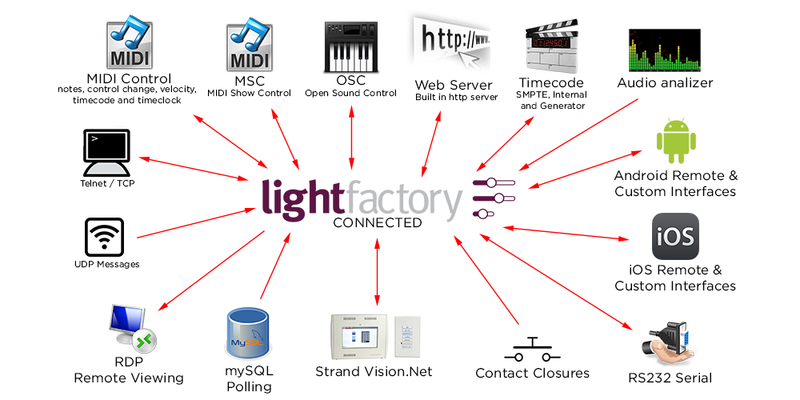 LF25 is the perfect starting point for this advanced control solution. The USB to DMX hardware is a microprocessor based device that is shipped pre licensed to be plug and play out of the box.